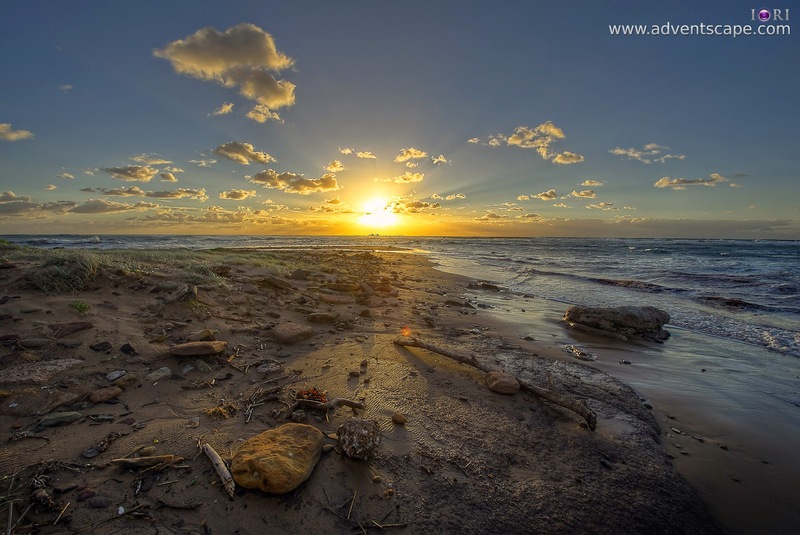 Long Reef is one of my frequent places to shoot sunrise seascape photography. Either I position myself on top of the headland or go downhill towards the waters. But its not only me, there are also others around. This is one busy reserve. There are joggers, kite flyers, windsurfers and rock fishermen in the area. Since I go here before sunrise, there are less people around. I can freely frame my shot without distractions. As a photographer, I find this place interesting. I was thinking that if I could shoot it in a different perspective, then I'll go for it. Well, that day came. Just last month (December 2014) I bought myself a quadcopter. I'm thinking that it will give a different perspective to my landscapes. I constantly practice my flying whenever time and wind permits. Taking videos & photos of nearby vicinity is a great idea! That saturday, the wind forecast was virtually windless, so I pushed forward. I came here with my drone just before sunrise. I was thinking the best light would be after sunrise so that you have enough light for the gopro. I immediately went on top of the headland and observed the wind speed. Its just a calm breeze and I know that my drone would be fine. I flew around the top of the headland. From there I managed to fly to about 250km towards the Tasman sea then my video signal starts to break. I'm using a cloverleaf antenna (BlueBeam). They said that its a high quality antenna but it just breaks near the 300m mark. Now I'm inclided to buy the helical antenna. My FPV system has diversity so I can upgrade my other antenna (currently a whip) to a helical antenna. This is the first time I flew using my FPV. It's liberating. I could finally see a different perspective of Long Reef. I'm right that you need to look at Long Reef in a different angle. With an FPV, controlling the drone is much easier because the left, right, up and down are corresponding on the joysticks. I can't wait to view everthing on my computer. I flew at the edge of Long Reef. I would like to flew further but my video signal breaks. I should stop being lazy and just go further down the headland so I can cover more ground. I flew at the steeper side of the headland (very few vegetation) because I can see more drama there. The texture of the orange-ish rocks and the steep side makes you feel like flying against the wall. I don't know about how other quadcopter pilots encounter people but the folks there are friendly. I talked and met a few people, particularly Harris (who also owns a DJI Phantom) and "sonofcuth" who took this nice of photo me and my quadcopter. There are also some casual conversation with joggers and passers by.